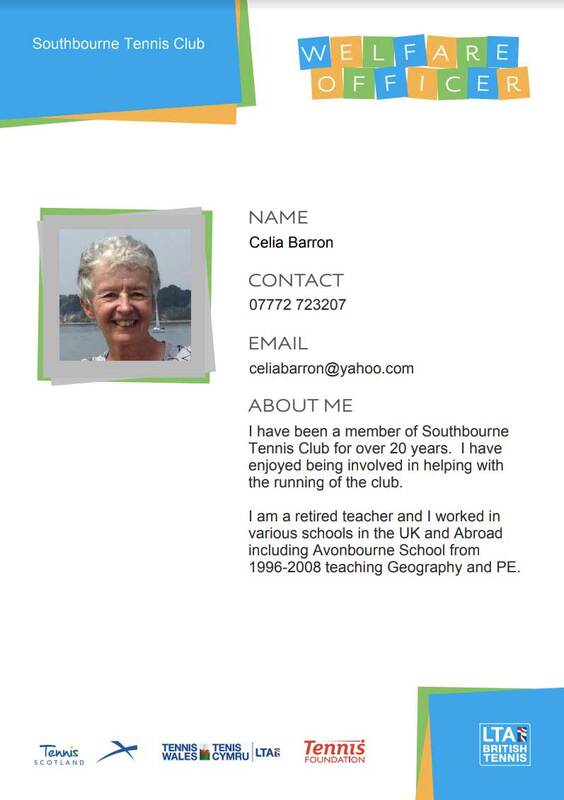 Southbourne Tennis Club is committed to providing a safe environment which everyone can enjoy. Coordinating efforts with the committee are Celia Barron (our Safe Guarding Officer) and Dave Sanger (our Head Coach). To help us deliver this, we have committed to a range of policies which are available on the right. If you have any questions you can contact us via the contact page or Celia is available on 07772 723207 or email celiabarron@yahoo.com. Alternatively you can speak with Dave on 07812 676761.